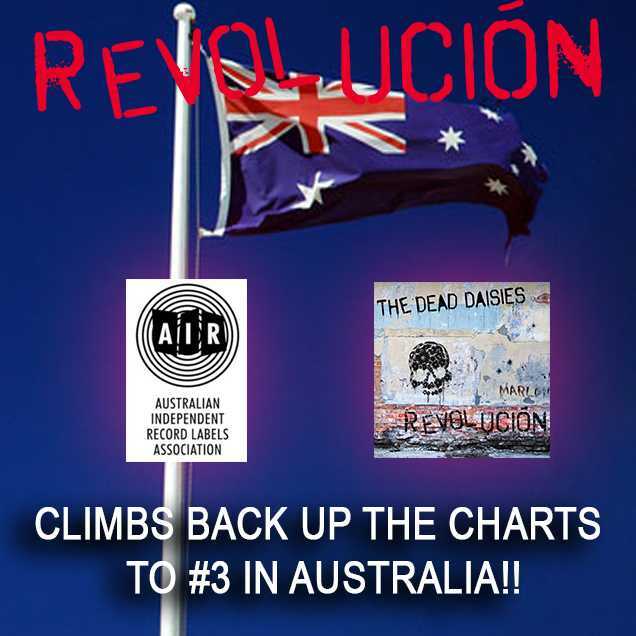 Revolución back to #3 on the Australian charts! Revolution continues to make a big impact in Australia climbing back up Carlton Dry Independent Album Chart last week to #3, eclipsing pop queen SIA. The chart is run by AIR, which is a non profit, non government association dedicated to supporting the growth and development of Australia’s independent recording sector. AIR represents Australian owned record labels and independent artists based in Australia. This is a massive win for Classic Rock as rarely does “new” classic rock music make this much of an impact on the Australian charts, or around the world for that matter. Rock n Roll is still alive! The Dead Daisies would love to thank all our supports who have bought the album and pushed the Revolución to their friends.